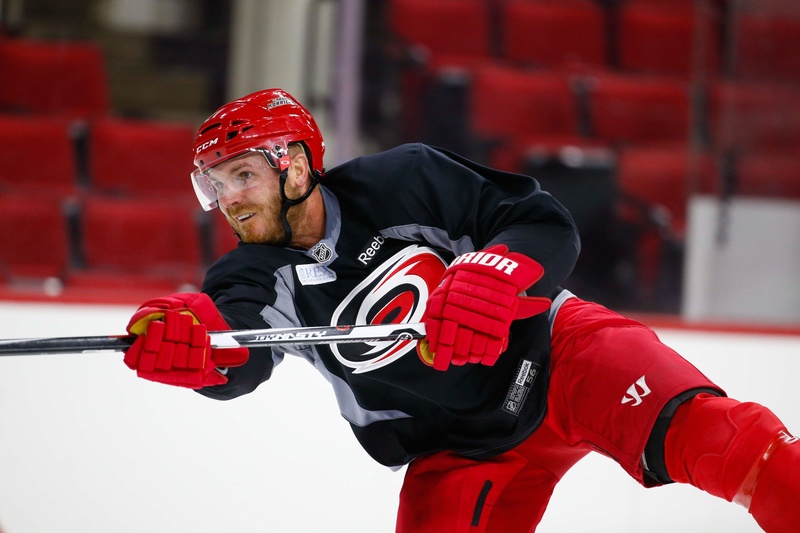 Carolina Hurricanes defenceman James Wisniewski suffered a torn anterior cruciate ligament on Thursday, managing just 47 seconds of ice time in his debut with his new team. And now, Wisniewski will require surgery and will be out for at least six months. The Hurricanes acquired Wisniewski in a trade with the Anaheim Ducks in the off-season and they were set to pair him with John-Michael Liles on the blueline. The 31-year-old was injured in his second shift of the game against the Nashville Predators. Wisniewski was supposed to be an instant upgrade to a questionable defensive group for Carolina, so this injury certainly stings. In 69 games last season between the Ducks and Columbus Blue Jackets, he scored eight goals and added 26 helpers. In 552 career NHL games, Wisniewski has 274 points. For now, dealing with it means defenceman Michal Jordan will see action sooner rather than later. He was a healthy scratch on Thursday but will suit up for the Hurricanes’ home opener on Saturday against the Detroit Red Wings. Defenceman Danny Biega was called up from the Charlotte Checkers, plus Francis says the Hurricanes will take a look at some other options. A trade is also possible, plus there are a few available free agents. Carolina’s top pairing continues to be Justin Faulk and Ron Hainsey and that’s not about to change, but a lot more will be required of the dynamic duo in terms of ice time and production. Liles, too, will expect to see more minutes as the Hurricanes cope with what has to be a significant loss.